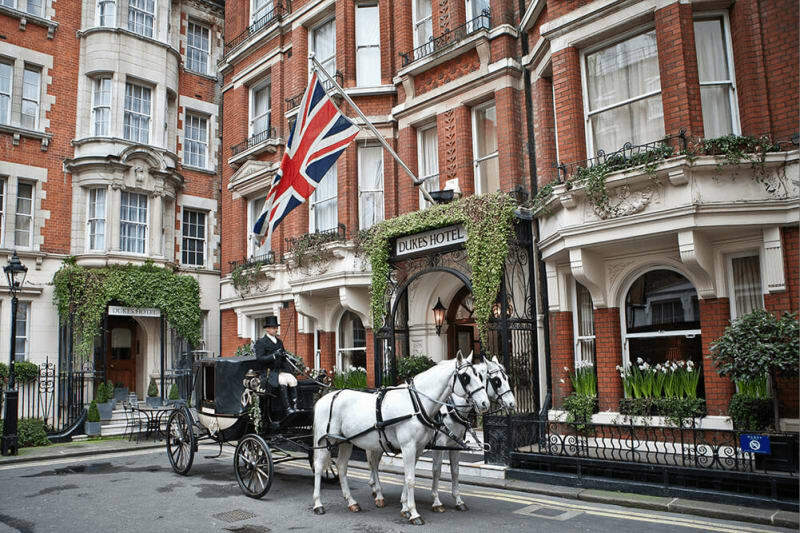 Just a 5 minute walk from Buckingham Palace lies DUKES HOTEL – which could be your very own palace for the day. This timeless boutique venue is dripping with English heritage and has been recently renovated for an extra touch of deluxe. Could it be your British beauty of a wedding venue? The iconic venue was Ian Flemming’s inspiration for James Bond’s ‘Shaken not stirred’ martini, and sitting within an empire of British history, this charming building offers the most quintessentially romantic London experience. With your very own private entrance from Little St James’s Street, you and up to 60 of your guests can enter as VIP’s into the elegance of the ceremony room – St James’s Suite. 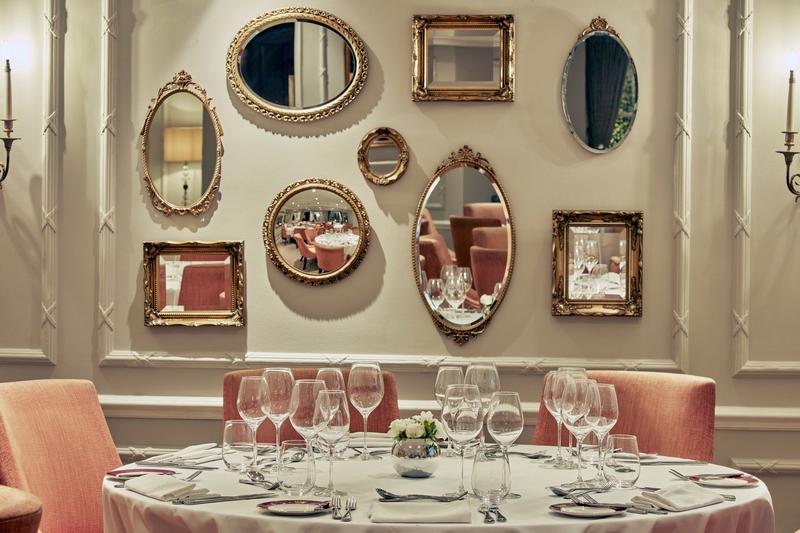 This stunning room lined with antique mirrors and cosy uplighting is the epitomy of luxury as you say your vows. Moving onto the drinks reception, you will proceed into the spectacular Drawing Room which is beautifully furnished with a cosy fireplace and sophisticated British decor. Leading into the conservatory and Courtyard Garden, you can roam wherever you please as you clink glasses with loved ones. Return to St James Suite for your intimate wedding breakfast, where you’ll be wined and dined with three delicious courses. Expect to receive the best service at DUKES LONDON, because the dedicated family-like team here pride themselves on their attention to detail. The icing on the cake comes in the form of your evening reception, where a DJ and dancefloor can be set up ready for you to celebrate into the night! Or should you wish to have a more low-key gathering, take advantage of your own private bar set up and try out the iconic martini! Who could ask for more? DUKES HOTEL is an exclusive use venue, ideal for your bespoke intimate wedding package. Situated inbetween Mayfair and St James’s in the capital, this venue is close by to a variety of transport links. 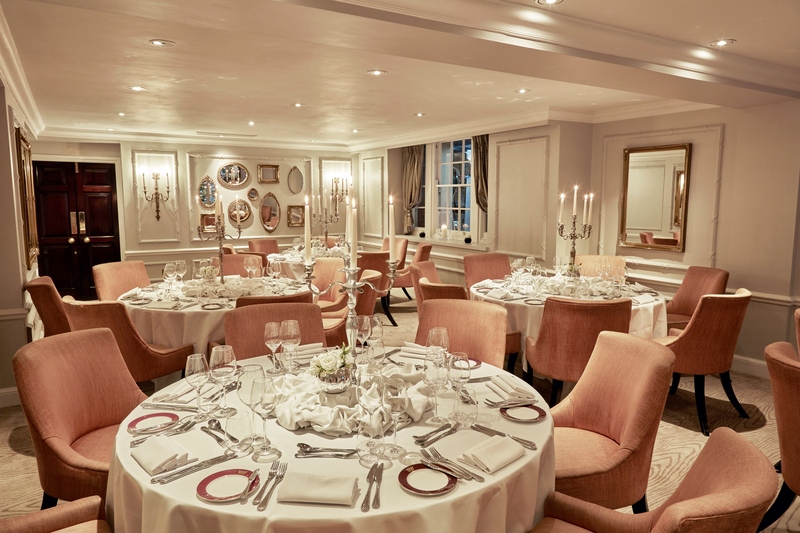 DUKES LONDON has excellent facilities for bridal changing, a relaxing on-site spa, and sumptuous in-house catering – not to mention a wide array of fine wines! DUKES HOTEL can cater for a capacity of between 12-60 guests and package prices start from £130 per head for your bespoke intimate wedding. Are you head over heels with DUKES LONDON?! Visit their Bridebook profile and book a visit today – prepare to be wowed!